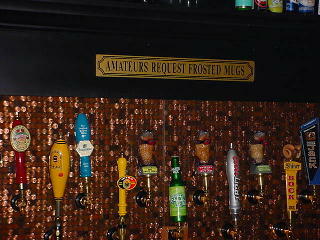 Flying Saucer beer bar in Columbia, SC! Columbia, SC has a beautiful, walkable, and inviting downtown that includes a central business district with Gervais Street running east to west and Assembly Street cutting through north to south. There is also a popular shopping and entertainment area called Five Points -- named because of the five-tipped intersection of Santee, Harden, and Devine Streets, Five Points offers shopping, dining, and nightlife with live music. The beer culture in Columbia is supported by two brewpubs, some outstanding beer bars, and an energetic homebrew club called the Palmetto State Brewers. Print out this page, grab a hotel room in downtown Columbia, and prepare to set off on a lively pub crawl for the best beer this state capitol has to offer! Owen always welcomes your e-mail and input. Our Top Ten Beer Bars and Brewpubs! What a unique brewpub in the center of downtown Columbia! Hunter-Gatherer is one of the first brewpubs to open in the state, and has achieved quite a devoted following of beer fans. This is a bohemian brewery/restaurant that features a diverse customer base and a fine lineup of beers that are mostly English ale styles with some influences from the west coast of the USA. The ESB is one of their best brews, and you'll usually also find a Pale Ale, Wheat Ale, and a seasonal brew. Food items are unique and quite tasty with salads, pizzas, sandwiches, and interesting entrees highlighting the menu. 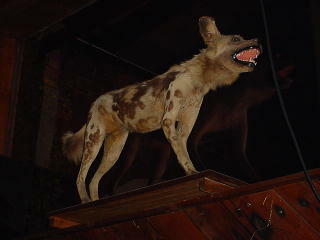 The stuffed, wild, African dog in the front window will welcome you to Hunter Gatherer with a friendly snarl. Even though the Flying Saucer pubs are part of a chain of beer bars, they offer a fantastic place to experience a huge range of great quality beers. The Flying Saucer in Columbia is in the "Vista" area of downtown (along with Club House, Liberty Tap Room, and Mellow Mushroom) and is located in a large building that once housed a brewpub. 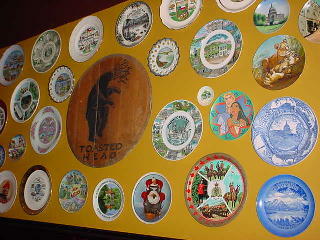 The walls are adorned with hundreds of plates and saucers, and there are around 70 taps here plus almost 175 bottled beer selections. The waitresses (in short Scottish plaid skirts) and bartenders will be glad to give you a small sample of any beer that interests you, or you can try one of their beer sampler flights from around the world. Food is upscale pub grub. 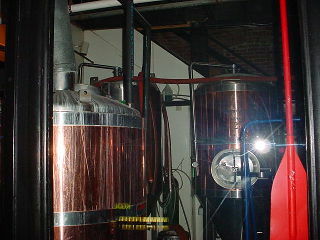 Vista Brewing has been through more than one brewer and more than one set of owners since it originally opened in 1997. The brewpub is now called The Club House and the new owners have turned it into a sports bar restaurant of sorts. In December of 2004, the house-made beers here were the best they have been in years. There was an American Wheat (clean and dry), a Pale Ale (smooth and malty with a slight hop presence), and a Stout (dry and pleasantly roasty). Hopefully the new owners will see the value in their brewing equipment (pictured above) and continue to produce craft beer. The Club House has 12 plasma TVs, and you may enjoy burgers, sandwiches, steaks, and fish dishes while you watch. The stained glass at the bar is attractive and unique. The place opens at 4 pm M-F and at 11 am Saturday and Sunday. This large new beer bar and restaurant in the Vista area offers 50 drafts and 30 bottles from which to choose. Beer standouts include Liberty's fresh ales and lagers that are contract brewed directly for the restaurant. 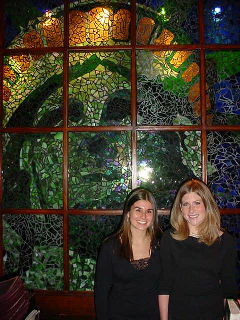 Friendly hostesses and a huge, stained glass mural of the face of the Statue of Liberty greet you as you enter the front door. Gourmet burgers, chicken and crab sandwiches, steaks and chops, BBQ, grilled fish, and pizzas round out the food menu. Liberty is one of your best bets for a good beer and tasty food in downtown Columbia. 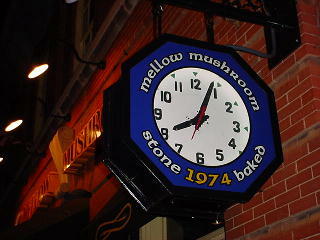 Located in the Vista area near Flying Saucer and Vista Brewing is a fine example of the Mellow Mushroom chain. This 'Shroom has a really nice set of taps and bottled beers to choose from; and if you have ever consumed the pizza and calzones from the Mellow Mushroom, you know how yummy they are. Grab a taxi from the Vista area of downtown Columbia and take the short ride over to Five Points. Head first to Delaney's Music Pub and Eatery. 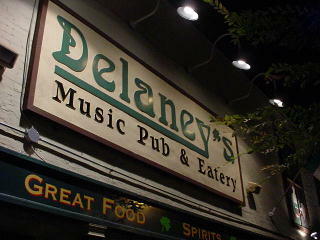 Delaney's is a pub with an Irish theme that offers around 24 draft beers (including some fine regional microbrews). There is a bar up front with dining areas in the back that roll out some hearty pub fare. Check out the live music Tuesday through Saturday. Jake's is a landmark for the locals in the Five Points area. This pub looks like a hole-in-the-wall from the outside, but be sure to step inside where you will find six TV's, three pool tables, 2 dart lanes, and a nice deck/patio area out back. 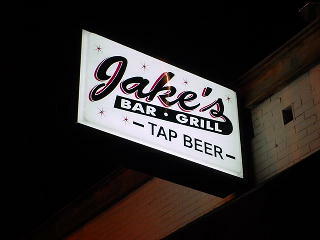 Jake's has 50 taps and some really delicious wings, pizza, and fried menu specialties. This is a really popular place during big college football games that are being broadcast on the tube. Publick House, 2307 Devine Street, ph: (803) 256-2207. I was not able to make it to this place, but I hear they have a very respectable beer selection and some of the very best chicken wings around. Tavern on Greene, 2002 Greene Street (Five Points), ph: (803) 252-7265.